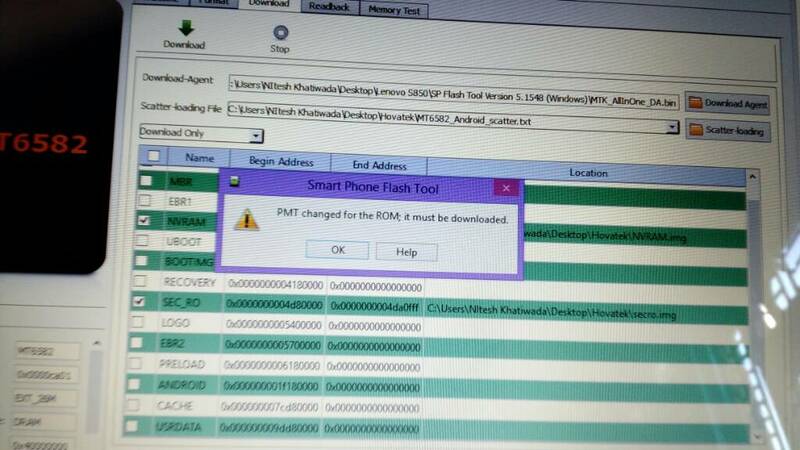 Yes I downloaded, but there are options in SP Flash and what are suitable for my phone, please provide me information. (09-30-2017, 11:23 AM)Khatiwada Wrote: Yes I downloaded, but there are options in SP Flash and what are suitable for my phone, please provide me information. Use Download Only or Firmware Upgrade. Did you mean the text file called MT6582_Android_scatter.txt to be copied? (09-30-2017, 03:32 PM)Khatiwada Wrote: Did you mean the text file called MT6582_Android_scatter.txt to be copied? But nvram is not seen there( I found PRELOADER, MBR,EBR etc but not nvram). What is the problem? (09-30-2017, 04:13 PM)Khatiwada Wrote: But nvram is not seen there( I found PRELOADER, MBR,EBR etc but not nvram). What is the problem? 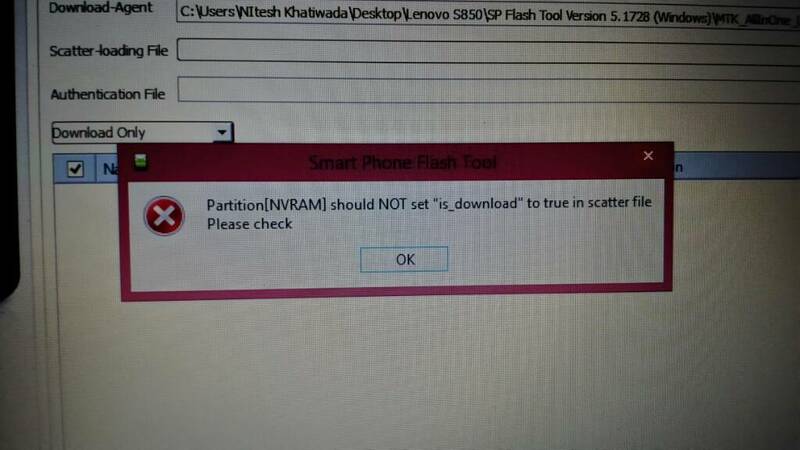 scroll down till you find "partition_name: nvram"
"is_download: false" to "is_download: true"
Partition[NVRAM] should NOT set"is_download" to true in scatter file. (09-30-2017, 05:48 PM)Khatiwada Wrote: I got the error. I'm going to walk you through a series of steps. Here's the plan if nvram flashing fails.